This is a complete step-by-step walkthrough guide with hints, tips, tricks, solutions and answers for the iOS, Android and PC game A Normal Lost Phone by Accidental Queens. 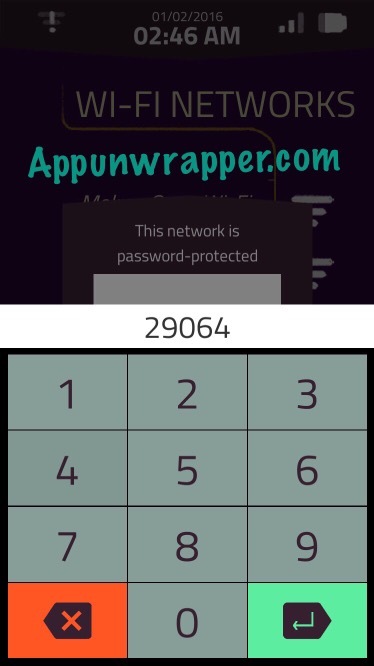 It is simply meant to help you find all the clues and passwords. 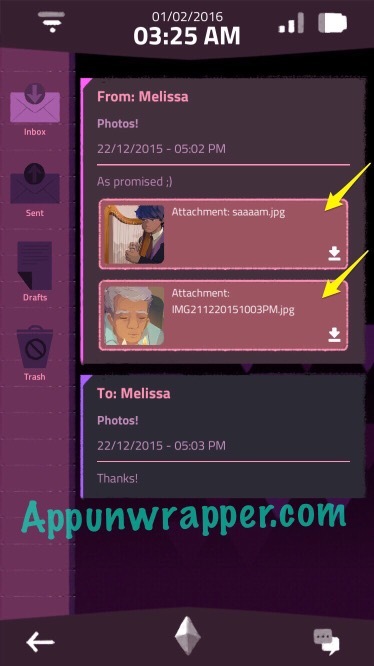 You should dig through all the text messages, emails, etc on your own so you uncover the full story. Feel free to ask for extra help in the comments section. See my review for A Normal Lost Phone here. 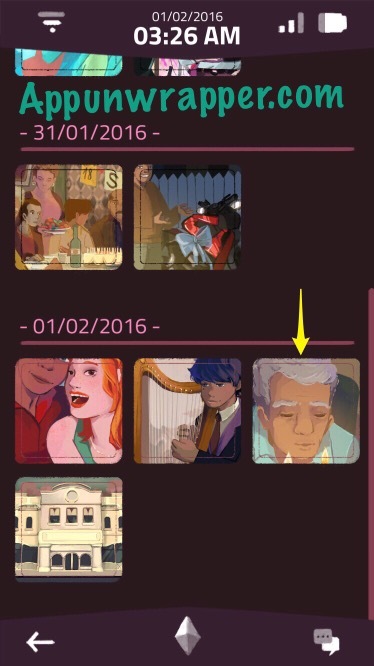 Looking for my walkthrough of Another Lost Phone: Laura’s Story? Tip: When trying to scroll to the top or bottom of a conversation, you can tap the arrow that appears in order to go straight to the top. Otherwise, the scrolling is sluggish, so I recommend using it. 1. 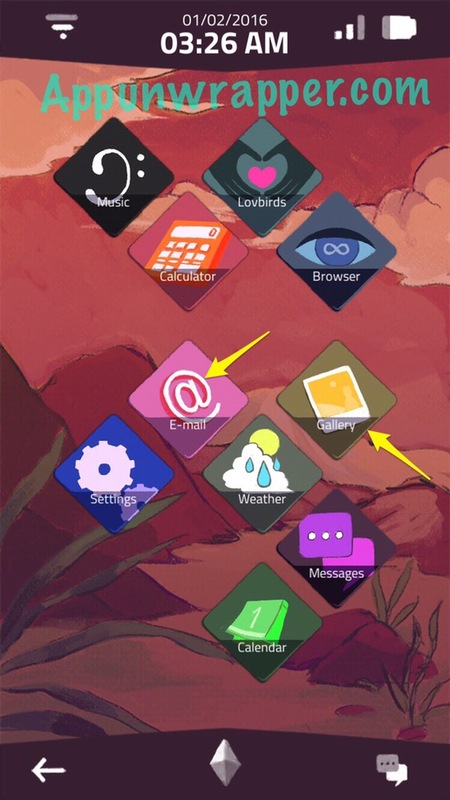 Tap on the wi-fi icon in the upper right corner. 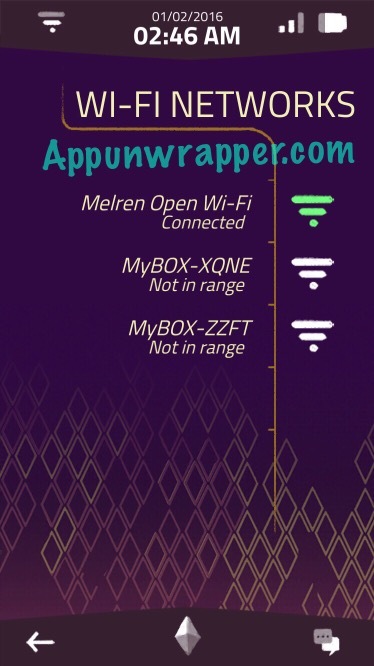 The only available option right now is Melren Open Wi-Fi, but you need a password. 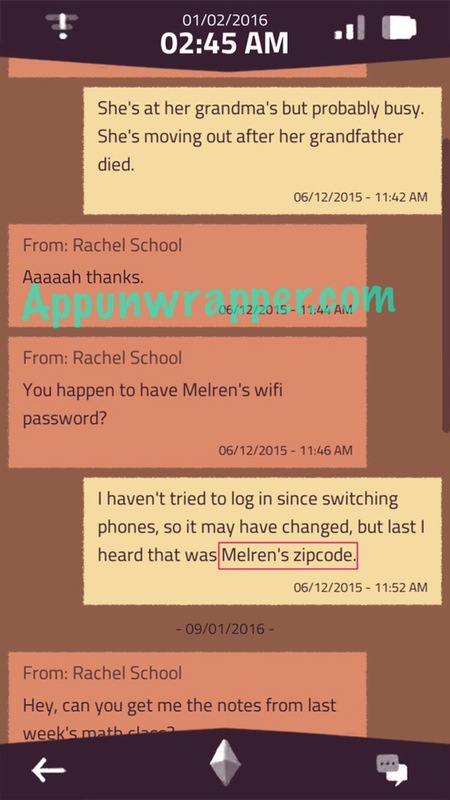 If you look at the text message conversation with Rachel (School), Sam tells her the password is Melren’s zip code. 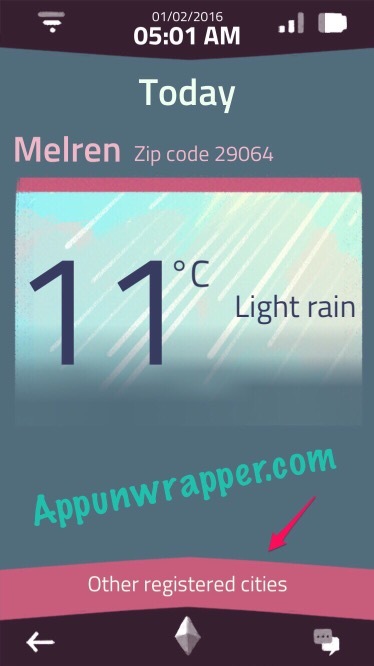 The easiest way to find that is by checking the weather app. 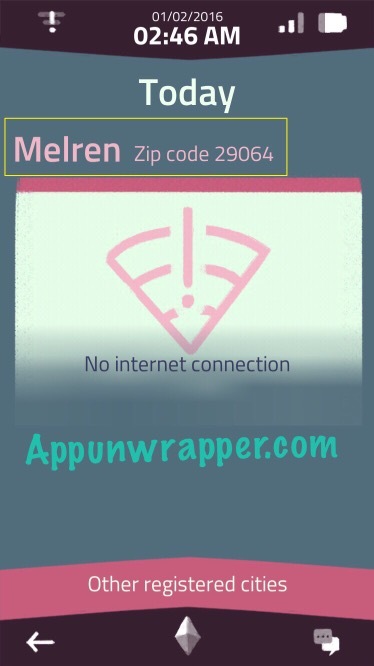 It tells you the Melren zip code is 29064. Enter that as the wifi password. You can now check your email! 2. 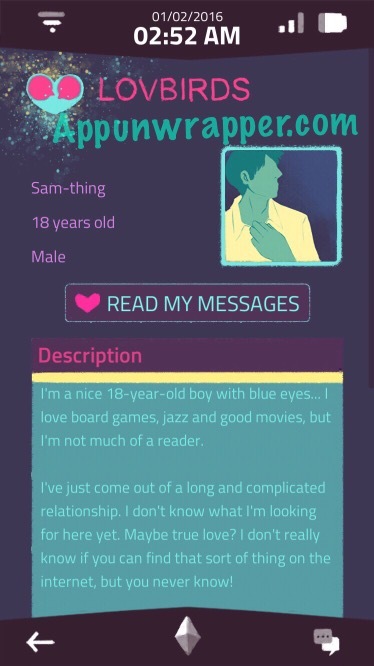 There are a lot of references to Sam’s birthday, so you know it’s on January 31st. Open the LovBirds app. 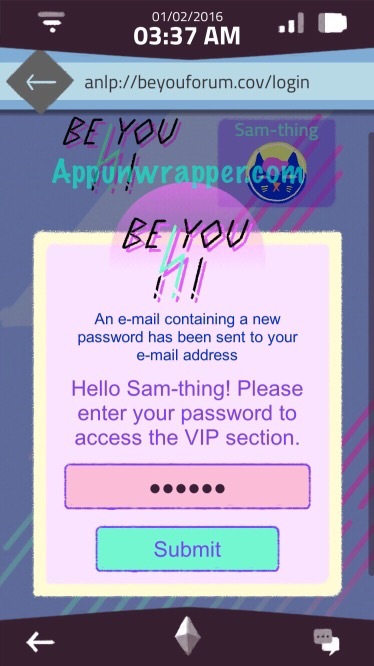 Enter Sam’s birthday (0131) as the password to log in to Sam-Thing’s account. Read through all the messages. 3. Sam-Thing-Else password: I’m not sure why, but it’s the date of the weird book festival that’s not a book festival. 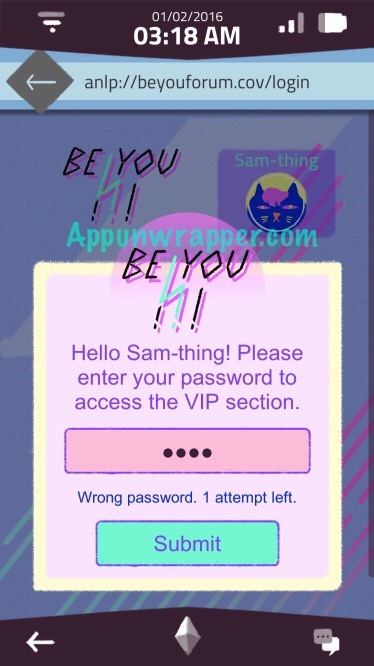 We know Sam is lying to his mom about what he’s doing on that date, but I’m not sure why that date would be the password. 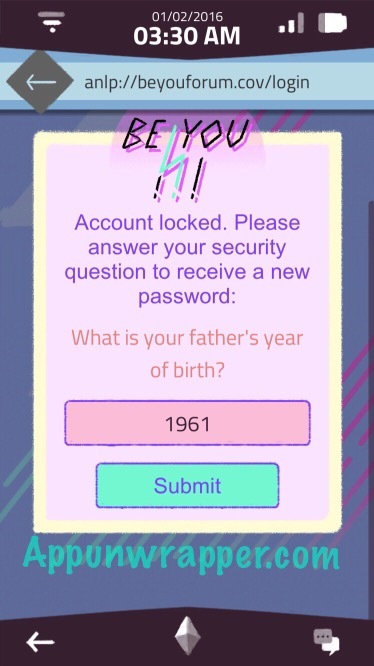 I mean, it makes sense in hindsight, but it seems like a stretch to expect the player to know this is the password. Still, that’s it. 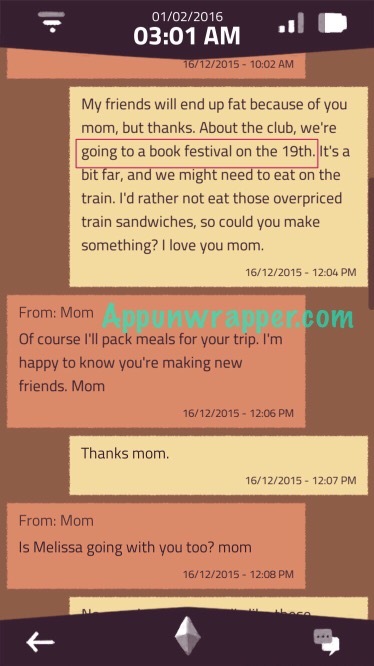 If you look through the text messages, such as Mom’s, you’ll see them talk about that date, 12/19. 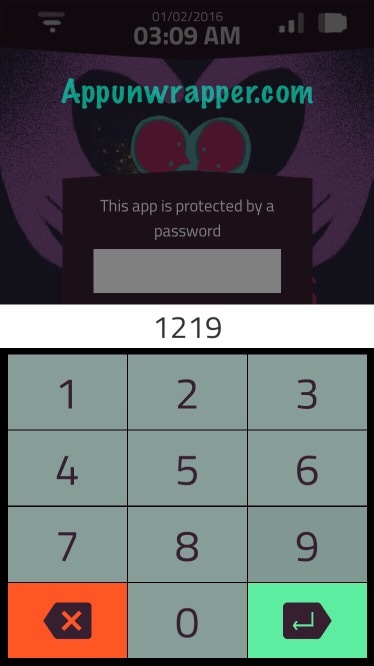 So the password is 1219. 4. 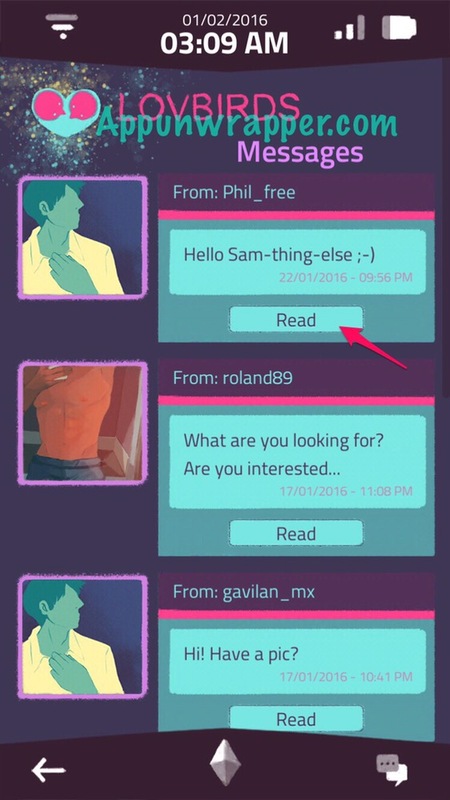 The Sam-Thing-Else account is set to female instead of male, and if you read the conversation with Phil_free, you’ll see why. Read through the conversation and click on the link for the Be You forums. I recommend reading through it. But if you want to get the password for the VIP section, continue on. 6. 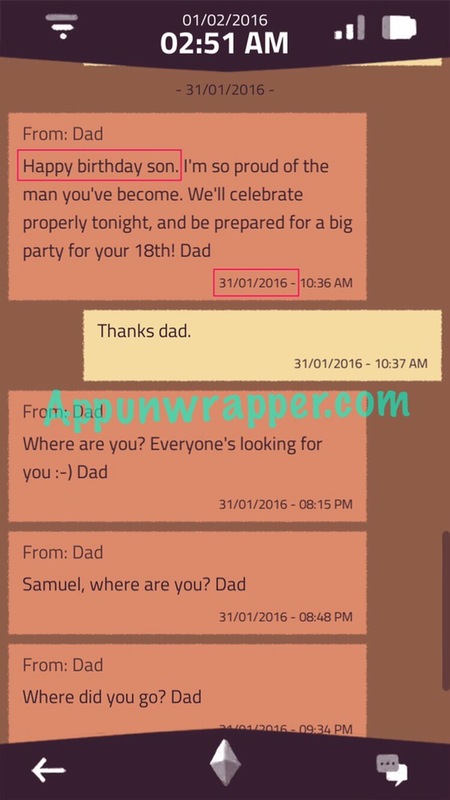 To get Sam’s father’s year of birth, first go through all the emails and download any photos that are attached. You can also download the music files, but I think those are extras. Then, open the gallery and look at the photo of Sam’s dad blowing out the candles on his birthday cake. 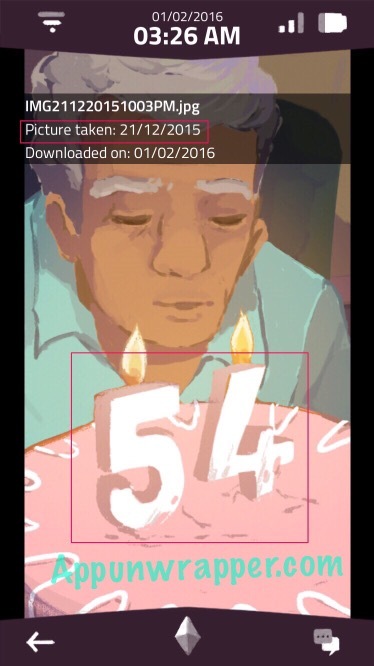 It says the picture was taken in 2015 and his age was 54. 2015 – 54 = 1961. So enter 1961 has his birth year. 7. 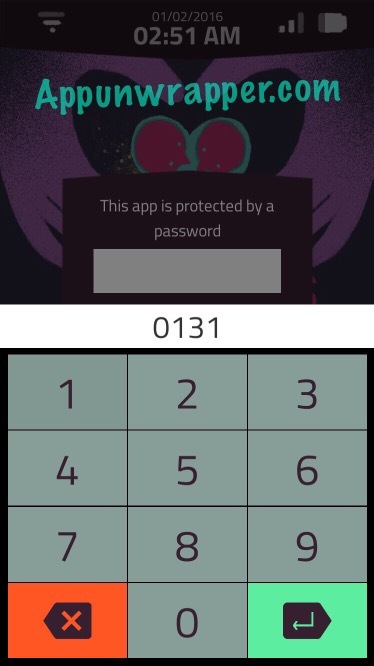 You’ll now be emailed a new password, but it seems to be different each game. Mine was 972756. 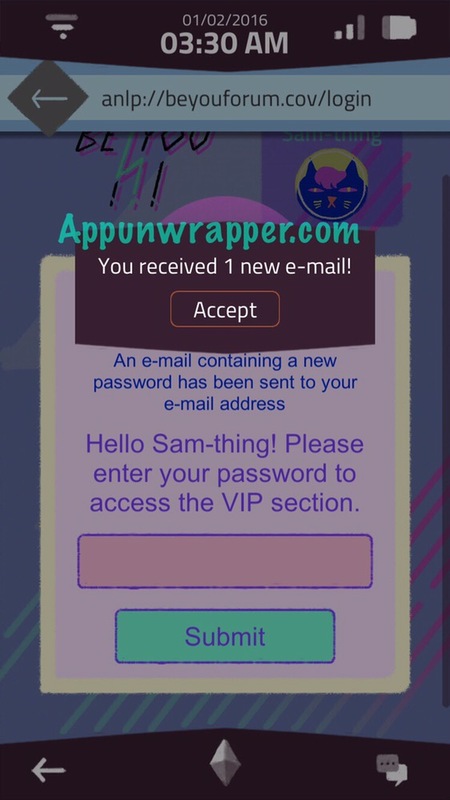 Enter whatever yours is as the VIP password to access those forums. 8. 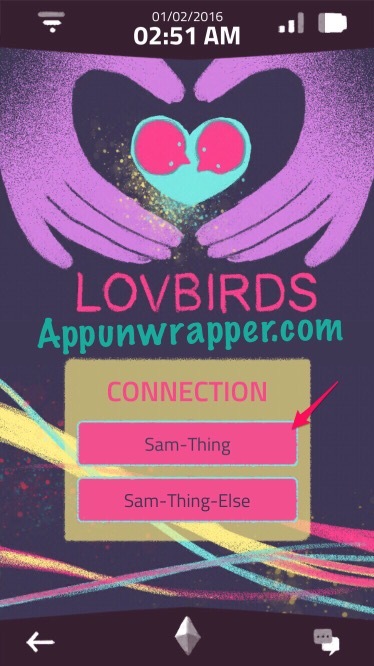 Go back to the LovBirds Sam-Thing-Else account. 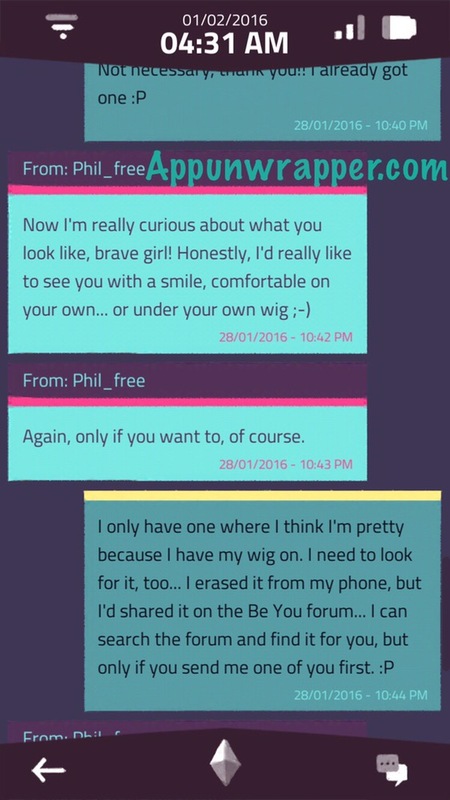 Phil_free asks Sam to share a photo wearing a wig at the parade. 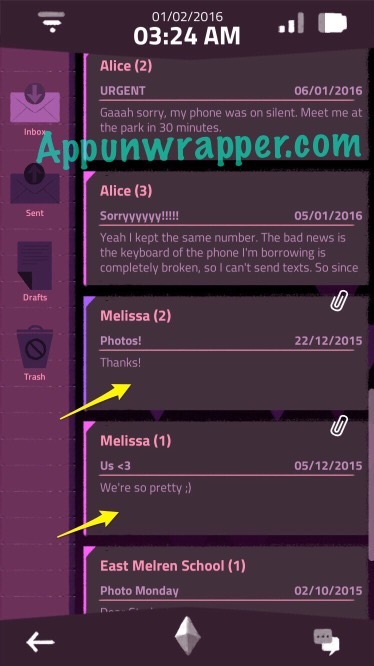 The photos were deleted from the phone, but they’re in the VIP forums. Find all the photos from the parade/festival and download them to the phone. 9. Compare the photos from there to the ones of Sam as a boy. 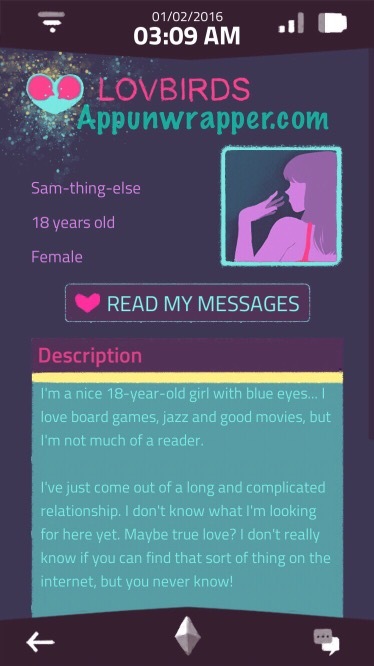 Sam also mentioned having blue eyes. 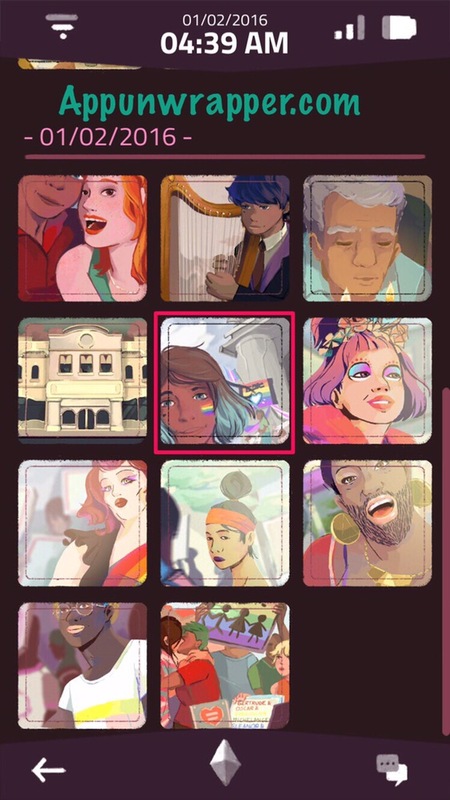 Find the right photo and send it to Phil_free. 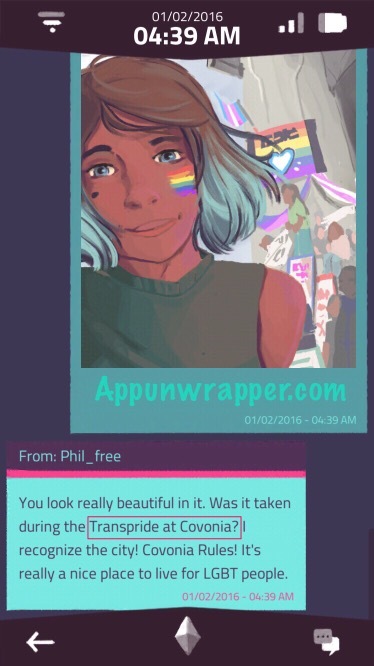 He’ll ask if it was taken at Transpride in Covonia. 10. Go back to the VIP section of the forums. 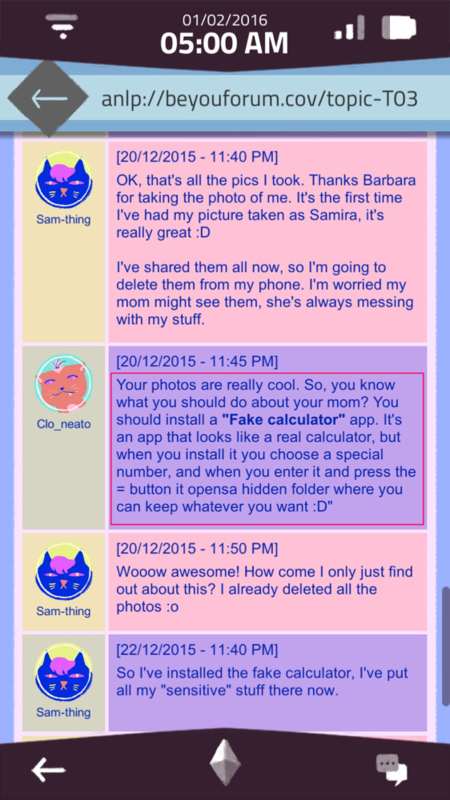 Notice that Clo_neato suggests using a fake calculator app to hide the photos from Sam’s parents. It turns out Sam has set it up already. It might be hard to guess, but the password is Covonia’s zip code. 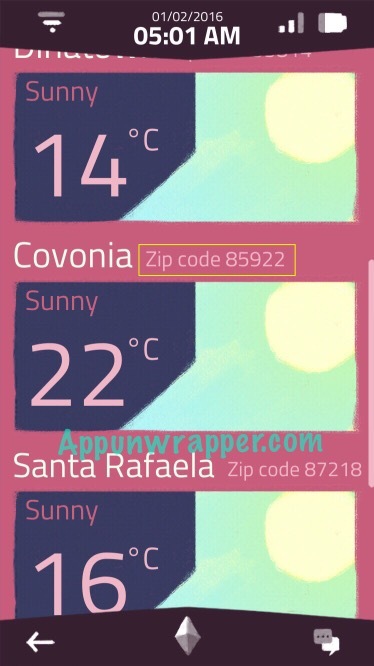 So open the weather app and look at the other registered cities to find Covonia. The zip code is 85922. 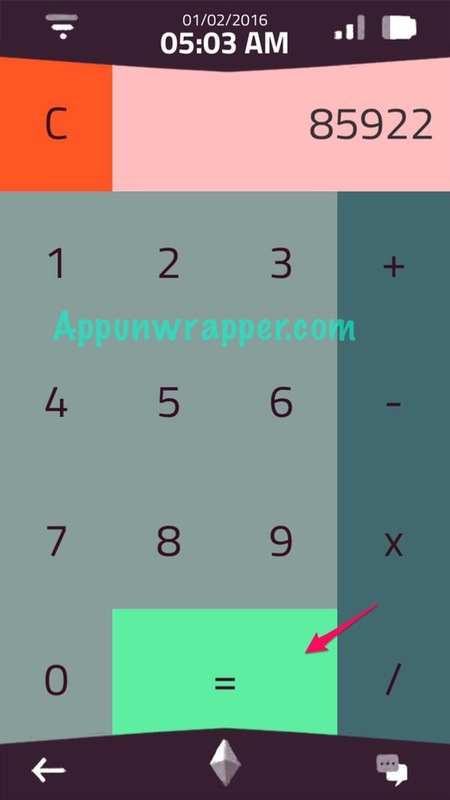 Enter that number into the calculator and press the green = button to access Sam’s secret diary. 11. 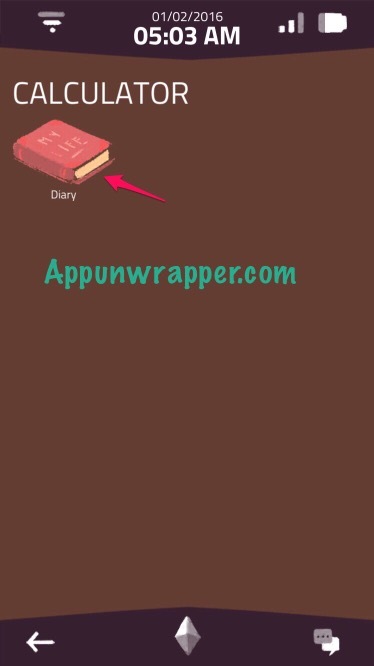 The diary fills in all the gaps in the story. Scroll all the way down until you get a notification that you have a new email. It’s between Alice and Sam, and Sam explains why the phone was unlocked (although it is a weak reason, as someone that secretive would never leave their phone unlocked for anyone to find. Makes no sense.) Alice says that maybe someone will find it and erase all the data. 12. So, the right thing to do is go into the settings and erase all the data on the phone to see the credits. Only do this if you feel you’ve see everything you want, as you’ll have to unlock it all over again if you erase it. ‘Politics no one cares about’? Do you mean, like, basic fundamental human rights? 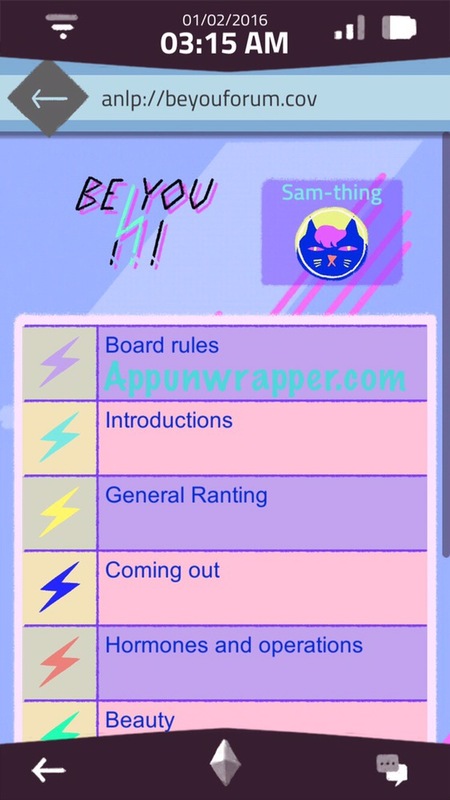 Seriously, there is so much hate going around for trans people rigt now, such a fantastic game like this is so necessary. Wonderful storytelling, and such an important message. A little empathy won’t kill you, Fezen. Don’t be ridiculous. Nowhere was it said that the game was about encouraging a mental illness. It has nothing to do with human rights. 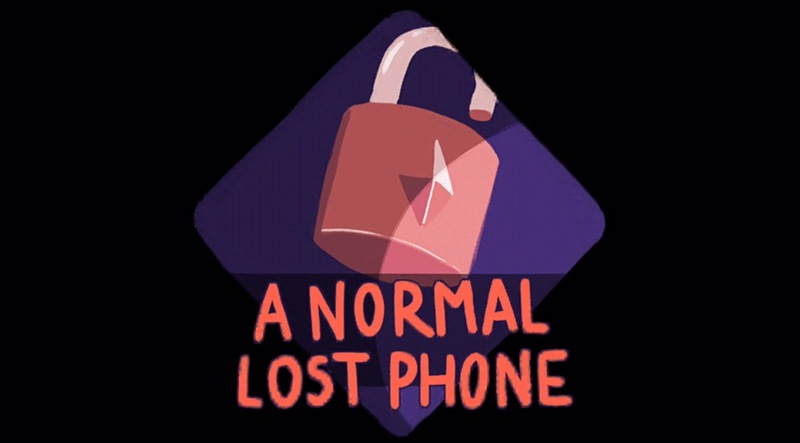 You are right: it was not a normal lost phone. It was a very special one. When the game started, I assumed it was some kind of murder mystery with all the talk of cults, but it turned into something far more heartfelt. What a lovely little game.